What is Wellbeing? In the simplest terms, wellbeing is 'the state of being comfortable, healthy, or happy'. As a large part of an employee's life is spent at work, employers should play an important part in helping their staff enhance their wellbeing throughout the workplace. Encouraging employees to plan and take part in health-related activities at work and creating a healthy working environment, encourages social interaction and fosters and develops a positive work community. 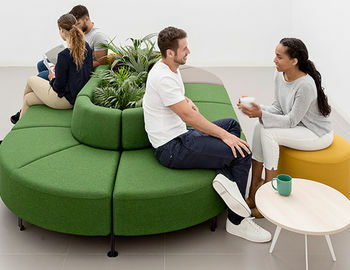 It's now the responsibility of the employer to create a workplace environment that has a positive impact on their employees physical, emotional, social and mental health. "Companies that want to succeed must genuinely care about the health and well-being of their employees". Here at Office Reality, we feel we can make a difference to your working day by presenting you with some effective, affordable and fun wellness workplace solutions. Please do not hesitate to contact us to discuss any of these in further detail. 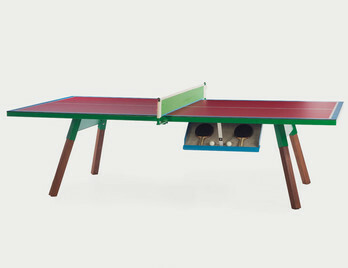 From this colourful You and Me ping pong table is a special collaboration with designer Christian Zuzunga. 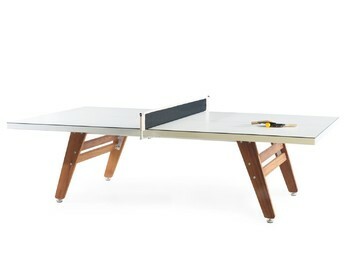 You and Me is a standard ping-pong table. But, it is also a conference table, just right for the boardroom, or whatever you want. All the sportiness such as the net, the bats, and the balls can be put in the side drawer and hidden away completely. The You and Me Zuzunga Table is built from high-quality materials and has been made for either indoor or outdoor use. Available in a vibrant green and magenta. RS#2 has been beautifully crafted and thoughtfully made for grown-ups wanting to reignite their curiosity and playfulness. Designed and made in Barcelona, it has the fun elements and playful touches associated with the Mediterranean life style. 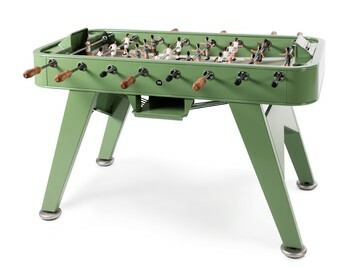 The table and can be customised in various colours and materials for indoors or outdoor play. The players can be customized to represent your favorite team, or each player can be customized to represent a person or team within your company. RS#3 has been beautifully crafted and thoughtfully made for grown-ups wanting to reignite their curiosity and playfulness. Designed and made in Barcelona, it has the fun elements and playful touches associated with the Mediterranean lifestyle. 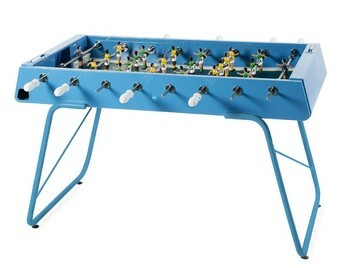 The table and can be customised in various colours and materials for indoors or outdoor play. The players can be customized to represent your favourite team, or each player can be customized to represent a person or team within your company? RS#3 has been beautifully crafted and thoughtfully made for grown-ups wanting to reignite their curiosity and playfulness. Designed and made in Barcelona, it has the fun elements and playful touches associated with the Mediterranean life style. 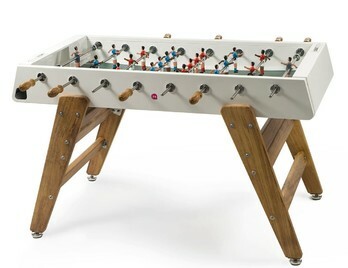 The table and can be customised in various colours and materials for indoors or outdoor play. The players can be customized to represent your favourite team, or each player can be customized to represent a person or team within your company? From the You & Me collection which has been designed with the Intense Living philosophy: to play with and experience to the fullest. Designed and made in Barcelona, it has the fun elements and playful touches associated with the Mediterranean lifestyle. These Ping-Pong tables will give your play hard work hard mantra everything and more as they can be used for meetings, working or ping-pong. This table reminds you, however, the serious day gets you can always end on a high with your colleagues or friends. From the You & Me collection which has been designed with the Intense Living philosophy: to play with and experience to the fullest. Designed and made in Barcelona, it has the fun elements and playful touches associated with the Mediterranean lifestyle. 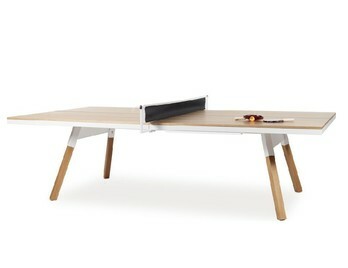 These Ping-Pong tables will give your play hard work hard mantra everything and more as they can be used for meetings, working or table tennis. This table reminds you, however, the serious day gets you can always end on a high with your colleagues or friends.